Matthew LaCraft’s father buckled the shiny gold buttons of his navy blue captain’s coat. 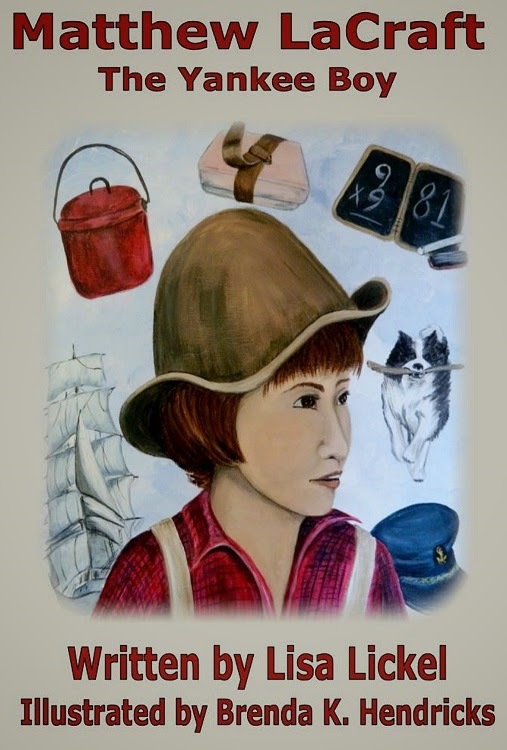 Matthew stood close enough that he could smell tar and sweet pinesap from the last cargo of wood carried by his father’s sailing ship, the Mary Jean. Matthew held his father’s cap while Mother brushed the shoulders of uniform. Matthew’s throat tightened as he fought back tears. Sailors don’t cry, he told himself. He didn’t want Father to remember him with tears on his face. Father’s mouth grew stern and two lines appeared above his eyes. Matthew stared at the floor. “I was one of many who helped Father Henni build the school,” Father said as he took the reins. “You are certain you don’t want to come along, Matthew?” Mother looked a little worried. Matthew loved the docks and ships at Port Washington, the big shipping center on Lake Michigan. But he was too sad and mad to watch his father leave without him. After waving good-bye, Matthew kicked the wooden carriage steps in front of his house, then sat on the top one. He closed his eyes, and pretended to watch masts of the clipper ships and other boats in the harbor of Lake Michigan. Father planned to sell the Mary Jean after this trip. He said she couldn’t keep pace with the new steamers. They all would stay home and farm. Why would anyone want to be a farmer when he could pilot a tall ship on the Great Lakes? Matthew walked across the road to their barn where he heard Carson, their hired man, hammering on the new fence. Striped cats stretched or pounced on bugs. Some took naps on the hay bales. His sister’s red and black speckled chickens cackled in the fenced-in yard. Matthew walked around the yard with his hands shoved in his trouser pockets and kicked an old, dried corncob. Prowler the dog barked and jumped around Matthew’s knees, holding a stick in his mouth, begging Matthew to play. Matthew threw it a few times. Looking north, Matthew saw the new stone school building. His old school in Boltonville was only two miles away, not far to walk at all. This new school was one-of-a-kind, Father had said. He and the other neighbors helped build it. Prowler held out the stick again. “Prowler, sometimes I just wish I was like you and could play all day.” Matthew threw the stick hard in the direction of the school. Just beyond the school were the fires from the Potawatomi camp, where his friend Green Leaf lived in his summer tipi. In the winter, the Potawatomi scattered into the forests to live in bark-covered hogans and hunt and trap.